This is Molly and she urgently needs to find a forever family. The shelter Molly has been staying at has only one empty kennel at this time and miss Molly has been at the shelter for 3 weeks with no interest by the public. Molly has a sweet spirit and if you’re looking to adopt a dog in the Texas area please consider visiting Molly at The Colony Animal Shelter. I do not know the specifics about Molly, the circumstances of her arrival, her breed, age or social history. However, inquiries can be made by telephoning the shelter at (972) 370-9250. I do not know, but I think it is possible that she is a pittie. I say this simply based on her facial bone structure, she looks a lot like my Forest. It would also explain why she has yet to have people consider her. Please educate yourself about the discrimination and negative propaganda campaign being promulgated against these wonderful dogs before you simply walk past them. I highly recommend the documentary Beyond the Myth which you can stream on Netflix, purchase or rent on Amazon or even Youtube for $1.99. It is important that you evaluate your life circumstances before bringing any pet into your home. It is important that the pet you bring into your home fits your lifestyle. Seeking Love Saturdays is my way of helping homeless animals find furever homes while at the same time trying to enlighten and educate people about pit bulls. If you want to learn more about pit bulls and think you might even be interested in adopting one of these loyal, social and sweet friends please check the breed restriction legislation and any rules within your housing community. 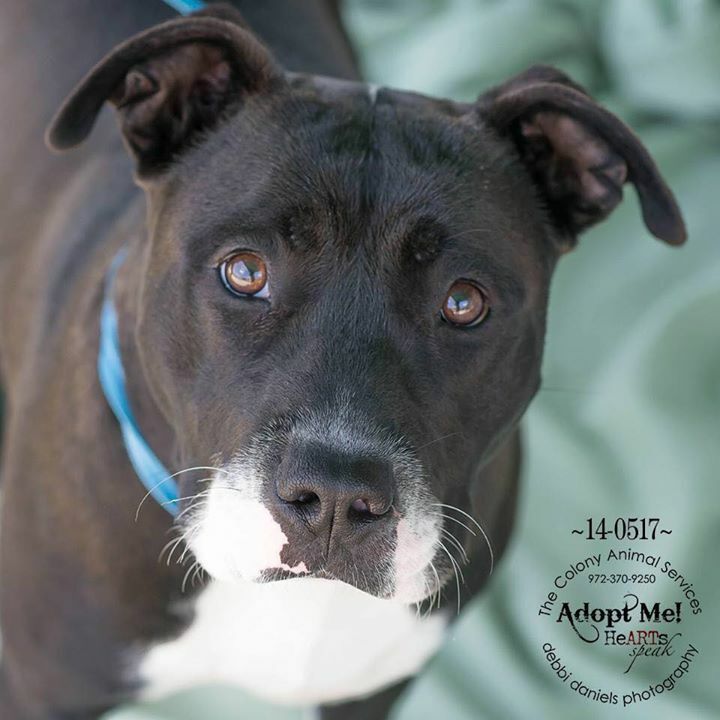 After you’ve read my links above, if you think Molly could be a good fit for you, please telephone The Colony Animal Shelter at (972) 370-9250 to set up an appointment to meet her. Make that phone call after reading the Adopt a Pit Bull Q & A. It will help you know what kind of questions you should ask. It is very likely that if you already own a dog, they will require the dogs to meet prior to adoption. Dogs, like people, have personalities. They want and deserve a happy life filled with fun, love, and loyalty too. Shelter dogs typically make the best dogs because they know how the “other half lives”. If Molly is not the right companion for you I have a Seeking Shelters page to assist you in finding animals in your area. And please, if I don’t yet have a shelter listed for your area, leave me a comment attached to the page and I’ll get right at it! When you find your dog, please consider sharing your adoption story with me and my readers. The Colony Animal Shelter is located at 4720 E Lake Highlands, The Colony, Texas, 75056.